You see all that electrical equipment hooked up to your aquarium? 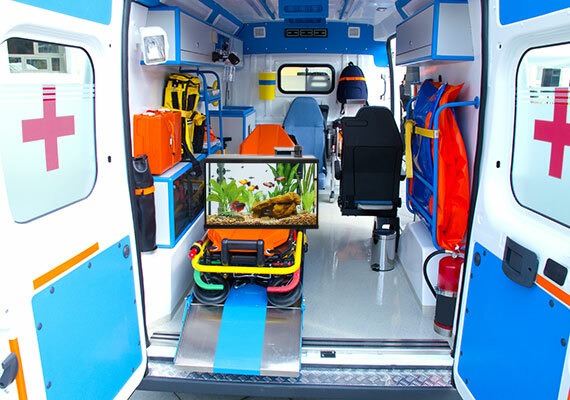 It’s funny to think about, but that’s essentially the life support system of your aquarium. And, it all runs on electricity. But what happens if your power goes out? Well, an invisible timer starts to count down. And when it reaches zero, everything in your aquarium will be dead. But because you read this guide, you are prepared – your fish will survive. Lucky you! Why are power outages so dangerous to your aquarium? 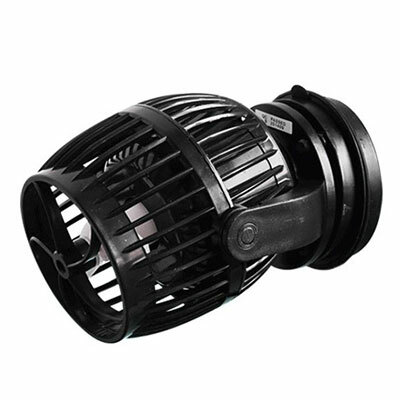 Why should you buy power outage gear for your aquarium now? How do you prepare for an incoming power outage? Oh no! I didn’t prepare for this power outage. What can I do? 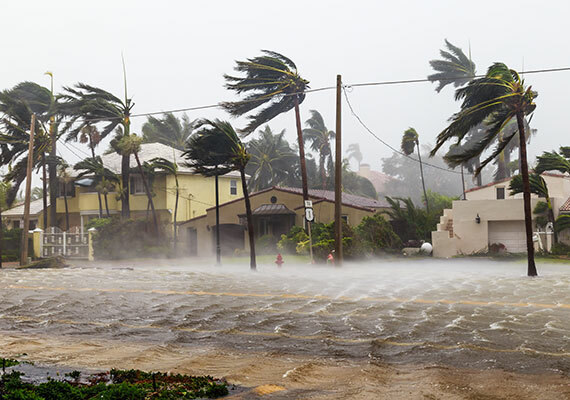 If you live on the coast, then you are all too familiar with storm prep because hurricane season can be nasty. Power outages, strong winds and floods are all very real dangers. Dangers you need to prepare for to ensure your safety. Well, power outage prep for your aquarium is similar. To give your aquarium the best chance of survival, you should have all the required gear before the power outage occurs. Now, unless you live in a storm-prone area or your electricity supply is patchy, then you might not feel the need to prepare for a power outage at all. When I lived in Colorado, power outages were basically unheard of. Well, just my luck, a freak storm saw me without power for five days. Completely unprepared, my fish didn’t make it. It wasn’t even a money issue. I mean, the equipment my aquarium would have needed to endure the power outage was a fraction of the cost of the fish I lost. You see, up until then, I had never considered power outages as a threat to my tank. That will never happen to me, I thought. Lesson learned. I’m now prepared. If my home lost power at this moment, I have everything on hand to keep my four tanks safe. And, you know what’s funny? I have never experienced another power outage since. Consider power outage equipment like the airbag inside your car. It might feel like a pointless extra, but trust me – you’ll be glad it’s there if it’s ever needed. Well, in this case, your enemy is a lack of power. 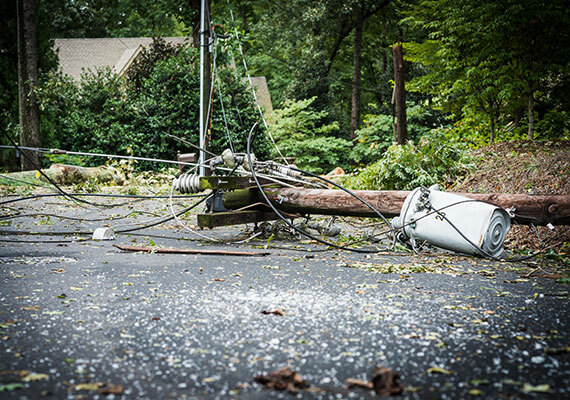 Let’s take a closer look at the dangers you need to overcome the moment your home loses power. 1. Oxygen levels are going to drop. Fast. The first disaster to strike is that the oxygen levels in your tank are going to drop. It’s a fact – your fish need air to breathe. And without it, well, let’s just say things get pretty grim. It might surprise you to learn that even though your fish are surrounded by water, they breathe the same air as you and me. You see – this air enters the aquarium through the water surface. This process is known as gas exchange. The more movement you have at the surface of your aquarium, the more oxygen will be inside your aquarium. Guess what? None of that equipment is going to work in a power outage. So, what happens now is that there is less oxygen entering your aquarium. Unfortunately, your fish don’t know what a power outage is and are still breathing in as much oxygen as they were before. With less oxygen, breathing can become difficult, resulting in stress – the number one killer of aquarium fish. If your aquarium is overstocked, it’s worse. Your fish could actually suffocate. Your fish breathe out carbon dioxide (CO2). As it begins to build up in your aquarium, it affects the pH of your tank. As CO2 increases, the pH decreases. The more CO2 there is, the faster the pH will drop. Even if the pH doesn’t drop out of your fish’s comfort zone, a rapid swing can stress or even shock your fish. Just how quickly things turn sour entirely depends on the size of your tank, how many fish you have and how big they are. In some instances, your tank will turn toxic in just a few hours without power. It turns out that glass isn’t the best insulator. What I mean is that glass isn’t very good at holding in or keeping out heat. As you are probably aware, temperature plays a very important part in the health of your fish. Rapid rises or falls in aquarium temperatures can shock and even kill fish. And once again, all of these need electricity to operate. Notice a pattern? Once the power shuts off, the water inside your aquarium will begin to cool down or warm up, matching the temperature inside your room. If the power stays off for hours or even days, the temperature change could kill your fish. The larger the difference between the water inside your aquarium and your room, the more rapidly the temperature of your tank will change. This makes power outages that occur in winter or summer much more dangerous to your fish. Ammonia rounds out the trio of difficulties your aquarium will face during a power outage. As waste products like fish poop, pee and uneaten fish food break down, they release ammonia into the water. Just one problem… Ammonia is deadly to your fish. Fortunately, inside your filter are beneficial bacteria that eat nasty chemicals like these, keeping your fish safe. These bacteria are the reason why you cycled your aquarium! These bacteria rely on your filter to flow water over them, allowing them to eat the ammonia. Guess what else doesn’t work without power? Without water flow, the beneficial bacteria cannot process the ammonia in your tank. This leaves the ammonia free to build up to deadly levels. In a power outage, you need to get these three dangers under control. Your fish will die if you don’t. Light is perhaps the least important thing you need to worry about. Your fish can survive a few days with just the light that your room provides. A short-term lack of light isn’t going to kill your fish and should be the least of your priorities. So, don’t worry about your aquarium lighting switching off. Pick up your power outage gear ahead of time! If an extreme weather event, like a hurricane or other major storm system, is headed your way, this gear will fly off the shelves! Batteries, in particular, can be impossible to find. 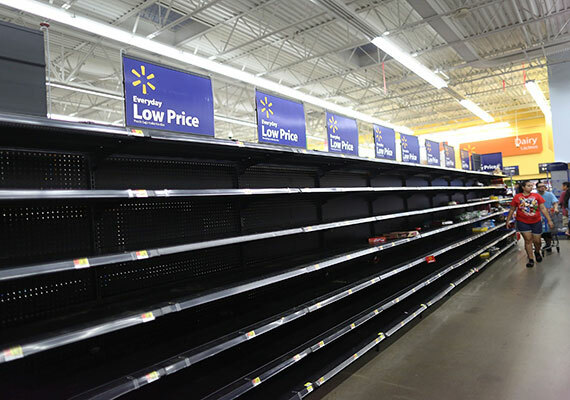 If you have ever needed to stock up on essentials before a big storm, you know exactly what I am talking about – shelves stripped bare! Yeah, storm season can be crazy. Once the news starts reporting that you need to prepare, it may already be too late to track down this gear. You’ll pick up everything you need at a cheaper price. Right now, you can shop around and buy the most suitable products at the most affordable prices. It doesn’t matter if something you order online takes a few days to arrive. You won’t have the same luxury just before a storm hits. So, pick up this gear now to avoid missing out! The following equipment will solve each of these. Some equipment is capable of solving more than one problem! I highly recommend having at least two pieces of gear on hand that can handle each of these dangers – just in case. Let’s take a closer look at the essential equipment you need to save your tank. If you lose power, test equipment is the most important gear to have on hand. Test equipment allows you to examine your water, allowing you to determine what action is needed to save your tank. Again, lack of oxygen, temperature fluctuations and ammonia spikes are all risks to your tank in a power outage. Unfortunately, you can’t see any of these. That’s where test equipment comes in. It allows you to measure each of these dangers. You should already have a test kit nearby. However, having spare kits on hand is always nice. Especially if one of the tests is running low or approaching its expiration date. A brand new test kit should last 3 to 5 years. A master test kit provides most of the tests you need to monitor water quality during a power outage, including monitoring ammonia. The only thing missing is an O2 test, which needs to be purchased separately. Use an O2 test to determine the rate at which oxygen is being depleted from your aquarium. Another trusty piece of aquarium equipment that you should already have on hand. It’s basically the only way to accurately determine the temperature inside your tank. If you use a digital thermometer, have spare batteries available. Batteries have a bad habit of running dead when you need them the most. If you are worried that your thermometer is not accurate, check out FishLab’s aquarium thermometer guide. We tested over 40 thermometers to find which are the best for aquarium use. Test equipment only identifies problems that arise during a power outage – it won’t solve them. To solve them, you need to use the rest of the equipment on this list. You know that air pump chugging away next to your aquarium, the one that runs your airstone? Well, this is essentially a portable version of that. The bubbles given off from the airstone cause water movement at the surface of your tank, increasing the availability of oxygen. If you have a freshwater tank, remove the media from your filter. Place it in a nylon media bag if you need to keep it together (pantyhose will work in a bind!). 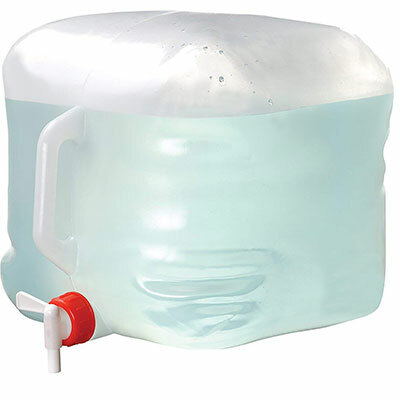 By placing this bag on top of your airstone, water will flow through the media, preventing your ammonia levels from spiking. If you want the most affordable solution to aerate your aquarium during a power outage, this is it. You can pick one up for as little as $10. Typically, these won’t come with batteries included, so make sure you stock up. Battery-powered air pumps take two D-cell batteries. Runtime ranges between 10 and 30 hours, depending on the brand and batteries you use with it. FishLab Tip: Grab a sponge filter, like these, cycle it and keep it on hand. Attach it to your battery-powered air pump, and you’ll have aeration AND filtration when the power goes out. Now, the only other thing you need to worry about is heating! It is worth mentioning that a portable air pump is only suitable if you are near your aquarium when your power cuts out – you need to physically set it. I’m talking about a battery-backup air pump. This plug-in air pump also has a space for batteries. Plug it in, and it will run like normal. Until your power drops out, that is. You see, the moment this air pump detects that there is no electricity, it will automatically swap over to battery power – without any effort from you. Also, you should add a check valve to your airline tubing. That way, if the pump shuts off, water doesn’t back up into the pump itself and ruin it. Rechargeable air pumps are generally not suitable for power outages. You don’t know how long your power outage will last. If the battery runs dead during this time, you won’t have any electricity available to charge the air pump – stick to air pumps with replaceable batteries. looking for a good air pump? Check out our best aquarium air pump guide. We tested and reviewed over 60 different air pumps (including those with battery-backup) to find the quietest and most powerful air pumps around. FishLab Tip: Don’t forget to add a check valve to your air pump. This cheap fitting will prevent the airline tubing from sucking water out of your aquarium. A wavemaker is a product that pushes water around your aquarium. The result is an underwater current and movement on the surface of your aquarium – increasing the availability of oxygen. As for ammonia, in freshwater tanks move the media from their filter and place it in the main tank area. Use a filter media bag to keep it all together, if you need to. By aiming the wavemaker at the filter media, the beneficial bacteria will break down ammonia, preventing it from spiking. Wavemakers are rated by the amount of water they can cycle in an hour. 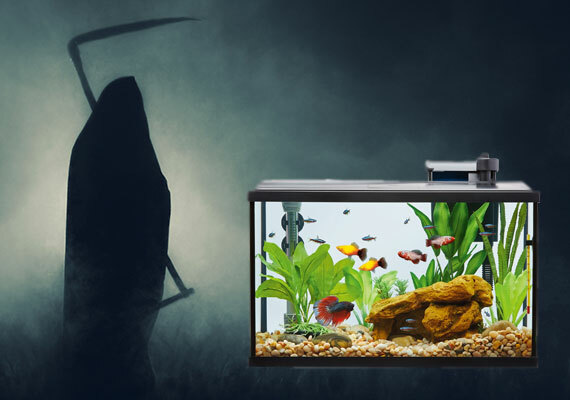 For a freshwater aquarium, a wavemaker rated at 2 to 4 times the size of your tank is appropriate to last through a power outage. Reef tanks with corals will very likely already have a wavemaker installed. When a power outage strikes, turn the speed of the pump down to 30%, this will conserve battery power. Speaking of batteries, you are going to need one of those also. By plugging your wavemaker into a backup battery like this one, you have up to 35 hours of wavemaker use. And, you can power up to two wavemakers. If you are expecting your lines to be down for a particularly long time, you may need to grab more than one. Note: Suitable for 12-24V wavemakers. Performing a water change will instantly lower ammonia levels and oxygenate your water. That’s why it’s so important to have fresh water on hand. In fact, if your power is out for more than a week and all your batteries have long since died, then water changes will be your only chance at keeping your fish alive. In your run-of-the-mill power outage, you can continue to use the water from your kitchen sink. But if the storm responsible for you losing power brought flooding with it, you are in trouble. You see, floodwater can wash into your municipal water supply or well water, contaminating it with bacteria and chemicals – nasty stuff that can kill your fish outright. If you are expecting flooding, then also stock up on water. Not just for yourself, but for your fish too. The most economical method of stocking up on water is to fill containers. These plastic containers squash flat when not in use, allowing you to easily store them until needed. While you are at it, don’t forget to stock up on water conditioner – that water isn’t going to dechlorinate itself! Simply add these white rocks to your aquarium using a filter media bag, and they will begin to remove ammonia from your aquarium, as if by magic. 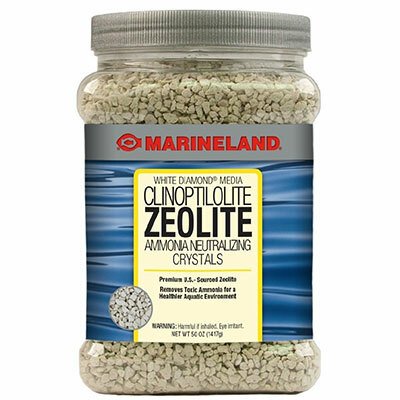 Zeolite doesn’t have an expiration date and is darn affordable. There is little reason not to have a bottle stashed away inside your aquarium cabinet – just in case. Sorry saltwater tank owners, this solution only works for freshwater aquariums. Think of a hand warmer as portable heat, on demand. Inside the hand warmers are several ingredients. When mixed together and exposed to air, they give off heat, up to 122˚F (50˚C), for an extended period of time. Use this heat to keep your aquarium from going cold. Simply open a hand warmer, give it a shake and tape it to your aquarium. Larger tanks will need more than one. 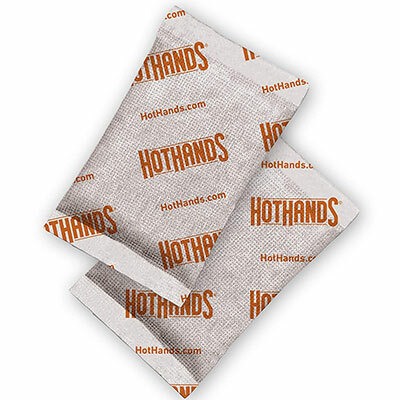 While hand warmers are also available in an 18-hour option, it is cheaper to use multiple 10-hour warmers. Note: How long hand warmers stay warm varies dramatically from brand to brand. No hand warmer I tested stayed at the maximum temperature claimed on the packaging. However, they do remain warm for many hours and are more than capable of heating an aquarium. 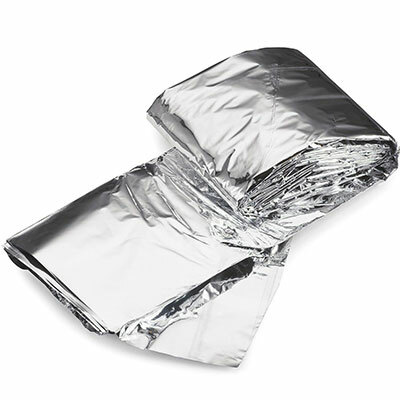 While these blankets might look like a giant piece of aluminum foil, they are actually made from Mylar. Designed as a survival tool, wrapping yourself in a thermal blanket will retain up to 90% of your body heat – even if it’s snowing or raining. It’s this ability to retain heat that makes thermal blankets an amazing tool for keeping your tropical fish at a comfortable temperature. Completely wrapping your aquarium in a thermal blanket will keep your aquarium warmer for longer. Just make sure you leave a small opening in the top of your tank – you still want air to get inside. Are you using hand warmers to keep your aquarium warm? Wrap a thermal blanket over the top. By doing so, all the heat given off by the hand warmers will be directed toward your tank, meaning less wasted heat! Okay, so up until now, I have shown you solutions that replace the current equipment in your tank. But what if you want to use your existing filter, heater and other equipment? Well, the following gear allows you to do just that. Note: The following gear is much more expensive than my previous suggestions and should only be considered if you regularly experience power outages. An inverter is a fancy device that converts alternating current (AC) to direct current (DC). Connect your inverter to your battery, plug in your aquarium equipment, and you are good to go! If you have multiple batteries, use your car to charge one battery while the other is powering your tank. The amount of runtime an inverter provides entirely depends on the size of the battery and the amount of equipment you have plugged in. It is certainly possible, however, to power a tank for a few days using this method. If you find that your batteries are draining too quickly, remove your heater. Aquarium heaters drain a lot of power. Based on its reliability and ease of use, I wouldn’t use anything else. 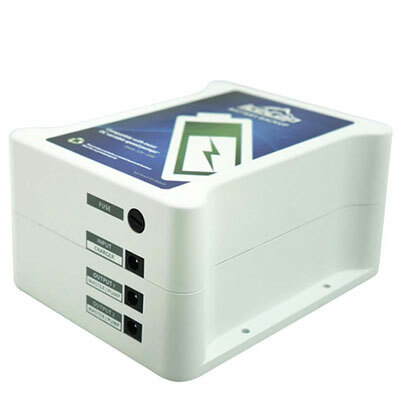 An uninterruptible power supply (UPS) is essentially a surge protector with a large battery attached. A UPS is typically used for computers, allowing them to run for a short time after power is lost – giving you a chance to save your work before the power is gone for good. Once power is lost, the UPS will automatically power whatever is connected to it until its battery is depleted. When the power comes back on, the UPS automatically begins charging the battery again. 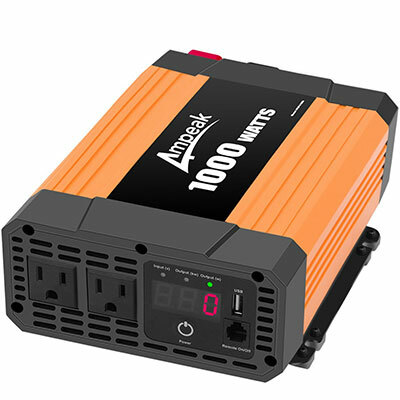 The good news is that you can use a UPS to power your aquarium equipment in a power outage. The bad news is that in most cases, a UPS isn’t a good solution. You see, a UPS is typically designed to provide power for up to an hour or so, just long enough for you to make arrangements during a surprise power outage. Use one to buy yourself more time to set up your generator, inverter or other aquarium power outage equipment. If you are asleep or away from home during a power outage, these extra hours could save the lives of your fish. The runtime on a UPS depends on its size and what you have plugged in. Your small filters and pumps use much less power than your heater. If your home experiences short, recurring blackouts, then a UPS can be a viable option. Because a UPS will swap on and off battery power automatically, it allows your tank to run consistently. Generally speaking, a reliable UPS will start at around $100. Reminder: The batteries inside a UPS are generally rated to last 3 to 5 years. After that time, the batteries begin to degrade and hold less charge. If you have an older UPS, it might be time to swap it out with a new one. Think of a generator as a small car engine. Fill it with gas, and it will provide power continuously until it runs dry. If you are simply looking for a blackout solution for your fish tank, you might want to reconsider a generator. Like your car, when a generator runs, it gives off carbon monoxide. This means you can’t use the generator in an enclosed space like your garage or apartment. The solution is to run your generator outside. Just one problem – it can’t get wet. If a storm is responsible for your power outage, finding a dry, unenclosed space may prove difficult. So, even though you have a generator, there may be times when you can’t use it. In this case, you have to rely on the other solutions I listed to keep your aquarium safe. However, if you live in a hurricane state, then I would consider a generator essential. Not only will you be using it to power your fish tank, but everything else in your house too! Honda generators are considered the best of the best. However, they have a price to match. Fortunately, there are budget brands like WEN, which hit the sweet spot between price and performance. Don’t forget to stock up on gas! 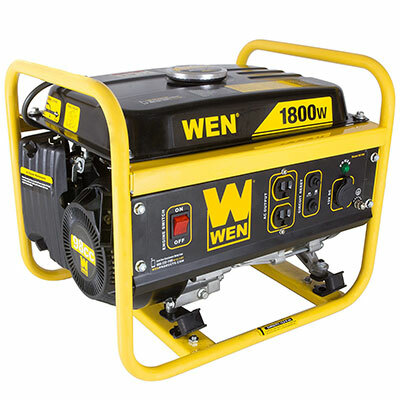 You’ll need it to keep your generator running during a power outage. A no-spill gas can allows you to fill up your generator without making a mess. Okay, you have all your emergency gear, and a storm is on its way. Widespread power outages are expected. Believe it or not, you are lucky! Yes, seriously. You have advance notice that loss of power is likely, and you have time to prepare for it. You see that pile of backup gear you bought? The gear that has been sitting around for the last 9 months waiting for this very moment? Well, it’s time to test it out. This refresher will ensure you understand how to use all your gear when the power goes out. Not only that, but it gives you an opportunity to replace any expired or faulty equipment that no longer works. So, set your tank up exactly as you would during a power outage – unplug your filter, lights, air pump and anything else electrical that is attached to your aquarium. Next, set up your equipment and monitor just how well it performs. Pay special attention to your test equipment. This allows you to identify problems as they arise, such as your tank getting too cold. These issues need to be addressed if your aquarium is to survive the power outage. What about equipment, like UPS and battery backup, that only turns on if the power is cut? Simple, flip the breaker for that part of the house. This cuts off power, simulating a real blackout. Next, you want to perform a water change. Yes, even if you performed one just a few days ago. Ideally, you don’t want to add cold water to your tank in a power outage – it’s going to drastically reduce the temperature of your aquarium. Performing a water change will also remove nitrates and replenish trace minerals. Taking care of this now means one less thing to worry about when the power goes out. If needed, also use a gravel vac on your substrate and give your aquarium an all-around clean. You don’t want the gunk in your gravel or on the surface of your tank breaking down into ammonia during a power outage. Also, take the time to clean your filter. Don’t forget to clean the impeller. If your filter doesn’t restart after a power outage, the impeller is usually the culprit. If your power comes back on in just a few hours, no big deal. At least your tank is clean! However, if the power stays out for a day or more, you’ll give your fish a much better chance of making it through. Don’t worry! It won’t be their last meal forever. Just their last meal until your power returns. Even though you feed your fish each day, nearly every fish will happily go 3 to 4 days without food. After all, in the wild, fish aren’t hand-delivered dinners each day – a meal might only come along every few days. In fact, many fish keepers skip feeding their fish while away from home on a weekend vacation. Now, you may be wondering why you should stop feeding your fish. Well, the more your fish eats, the more he poops. As the poop breaks down, it releases ammonia, which can kill your fish. Yep, your fish could poop himself to death. Your fish might not be happy about it, but not eating a meal for a few days isn’t going to cause long-term issues. For power outages lasting weeks, there isn’t really much choice – your fish need to eat. However, you can still reduce daily meals down to one every three days or so. Did a power outage catch you by surprise? I’m going to share with you how you can save your aquarium using everyday household products. Note: These measures should be used as a last resort and are not intended to be long-term solutions. Not only are they less effective than buying the correct products but also more difficult or time-consuming to perform. Okay, so this one is going to make you laugh. In an emergency, you can make a potato-powered air pump using ingredients found around your home. Without water flowing over them, the beneficial bacteria on your filter media will only have a short time to live. With your air pump up and running, you now want to remove as much of the media as possible and place it in a nylon bag – pantyhose will also do. Weigh the bag down with a rock if you need to. Place the bag of filter over your airstone. Water will now be drawn through the bag and over the beneficial bacteria. The bacteria will then remove ammonia from your aquarium, keeping your fish healthy. Without proper tools, heating your aquarium is going to be difficult and time-consuming – especially during winter! Those of you with woodstove heating will have less difficulty. The warm room temperature means the fish tank will cool down slower. However, for the majority of us who rely on electricity to heat our homes, there are still a few ways you can warm up your tank. A thermometer will be your best friend here. You need to regularly monitor the temperature of your aquarium to ensure the water isn’t getting too cold or too hot. If you live in an icy area, you’ll already have calcium chloride on hand. It is better known as ice melter. This salt, when added to water, produces heat. You can take advantage of this to warm your tanks. Take your water bottle and fill it with water, just under two thirds full should do it. Next, add 3.5 ounces (99 grams) of calcium chloride. Use a funnel if you need to. You don’t want any calcium chloride on the outside of the bottle when you add it to your aquarium. Put the cap on and give it a shake. The water immediately begins to heat up to around 122˚F (50˚C). Now all that’s left to do is add it to your aquarium. If your bottle sinks, remove some of the water (not in your tank) – floating bottles are easier to remove. Use your thermometer to regularly test the temperature inside your tank. If it’s getting too warm, take the bottle out. If it’s not heating at all, you likely have a larger tank and will need to add more bottles. The heat from each bottle should last around an hour. As your DIY heater begins to cool, swap it out with a fresh batch. Now, heating your tank isn’t going to keep it warm once your heater switches off. Glass is a poor holder of heat, and your hard work is going to escape straight out the sides of your tank. Wrapping your tank in… well… anything is better than leaving it exposed. Anything really. Tape it in place if you need to. You want to cover all sides of your aquarium. Partially covering the top will also slow down the rate at which heat escapes. Be careful that anything placed over the top of your aquarium doesn’t drop dust or other grime in the water. And, that’s really all there is to it! 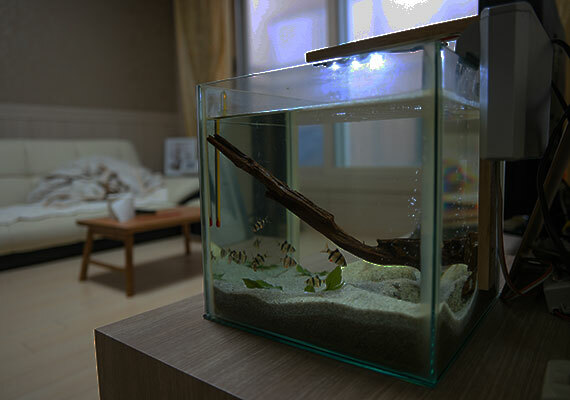 By performing the three tricks above, your aquarium will survive for a few days. And, hopefully by then, your power will return. The more fish eat, the more fish poop. Uneaten fish food and poop break down into ammonia. By only feeding your fish every 3 to 4 days, there will be less waste. Your fish won’t be happy about it, but he will survive on a hungry tummy. It beats ammonia building up and killing him. Any gunk that is attached to your filter, heater or other equipment can die and break down into ammonia. Since this equipment is not being used anyway, remove it from your aquarium altogether. Some species of fish, like goldfish, are less active in low light. In this state, breathing will slow down, and your fish will produce less waste. The benefit? Less waste means the water quality will remain better for longer. Don’t worry! Your fish will return to normal once the aquarium lights are up and running. 4. Keep. Testing. Your. Water. You might not be able to see these dangers, but you can certainly test for them. Test regularly and take action when needed. Don’t forget your secret weapon: Water changes. Performing a water change instantly lowers ammonia levels and adds oxygen to the water. Look, maintaining an aquarium during a power outage is no one’s idea of a good time. I get it. Even after all the prep work. All the effort monitoring your water quality. There is still a chance your fish won’t make it. But if you want the best chance of saving your tank, you need an emergency power outage plan. You need to know what to do the moment you lose power. If you made it this far, then you have all the skills necessary to give your fish the best chance of survival. How do you maintain your tank in a power outage? Let me know in the comments below! 22 hours! That sounds terrible. It sounds like you are well prepared and have your head around what you need to do. I hope the power resumes soon. Wishing you all the best in this trying time. Hi Ian, I had 6 tiger barbs in my 20 gallon tank yesterday, but when the power went out, I followed all of these tips, but I still lost 2 🙁 I know that tiger barbs should be kept in a group of 6+ so that they aren’t too aggressive and because they’re community fish, but, I really don’t want to get more tiger barbs now and later go through loosing them again… There are only 4 tiger barbs in my tank now, and what I’m wondering is, if I just have these 4 in this tank, will it stress them out to be in such a small group? Or is the 6+ thing only for if there are other fish in the tank? I realized that eventually, they will all die, and at one point in the hopefully far out future, I will only have 1 tiger barb left in the tank. Is this a bad idea? Thank you so much for your help! With all schooling fish, it’s best to stick to the minimum schooling size. It’s possible they will bicker amongst themselves otherwise. Also, a 20 gallon is a touch on the small side for 6 Tiger barbs. Ian, that was extremely comprehensive. Interesting it was only 3 days ago that Technology Connections came up with this, https://youtu.be/1q4dUt1yK0g . Avoid car batteries they are not reliable for inverter use. I would also mention plants. Stop using ferts whilst the power is off and turn CO2 off. Plants will adjust to little light for a few days, just like fish without food. People living in a tropical cyclone/hurricane areas, whilst deadly have history on their side. When I lived in Cairns, Australia people would always talk about getting hit by TC Winifred and that must have been 30 years previous. Power was out for about 5 days. So you need to guarantee power for fish for at least that time. In the UK where I am now, I have lived in this area for 11 years and no power loss at all so those batteries powered air pumps should get me by. You make an excellent point on the plants, especially halting ferts and CO2. I’ll add a section covering planted tanks when I update the guide. Wow, that’s quite a move. Having been to both Cairns and the UK myself, that’s quite a temperature change you had to adapt to. Here’s hoping you never need those battery powered air pumps. I love your blog, and I hope you get into the saltwater blogging business. As I am a reef guy (rather new) but still review your site although I know it is freshwater focused. I learn so much from your easy explanations. 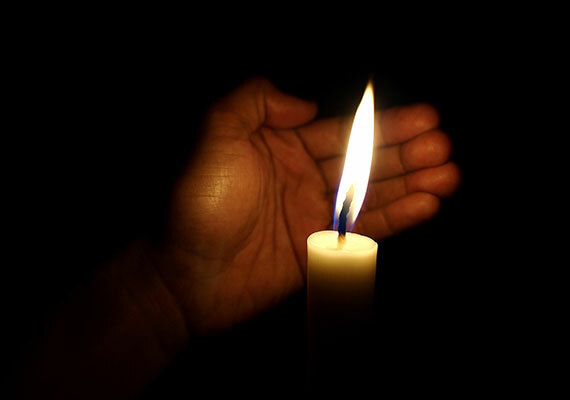 The question I have for you is what do we do if were away and a power outage transpires? Can a 40 gallon aquarium be without power for a 8 hours or not likely from what I was reading. Therefore I guess the best thing to do is simply put on a battery backup as you mentioned. Will it just take over when the power goes out? I don’t have the cash and I am moving soon, or I would explore getting a house generator for the aquarium but I have a feeling that will be rather expensive. Thoughts? Welcome to the hobby. I am sure you are learning a lot! 2. I’ll be prepare, just in case. Option 1 is cheaper and I completely understand why people do it. No judgement here if you choose too as well. As for your question, beneficial bacteria rely on oxygen and water movement bringing it to them. 8 hours is certainly too long to go without it. The good news is for a salt tank, all you really need is a powerhead placed towards the top of the tank, where it can create current and agitate the surface a little, introducing more oxygen. Unless you are in a storm prone area, a generator is serious overkill. 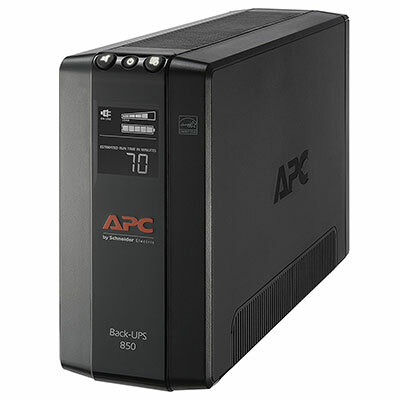 A Cheaper UPS is likely all you would need for 3-8 hours for a single powerhead. I do own a single saltwater tank, and would love to create saltwater content but I barely have the time to wrap up everything I would like on freshwater. This blog is expensive, largely my fault because I like to do detailed reviews, and is very much a passion project. But it melts my heard every time I get a comment saying it helps them – Seriously, thank you. It means so much.